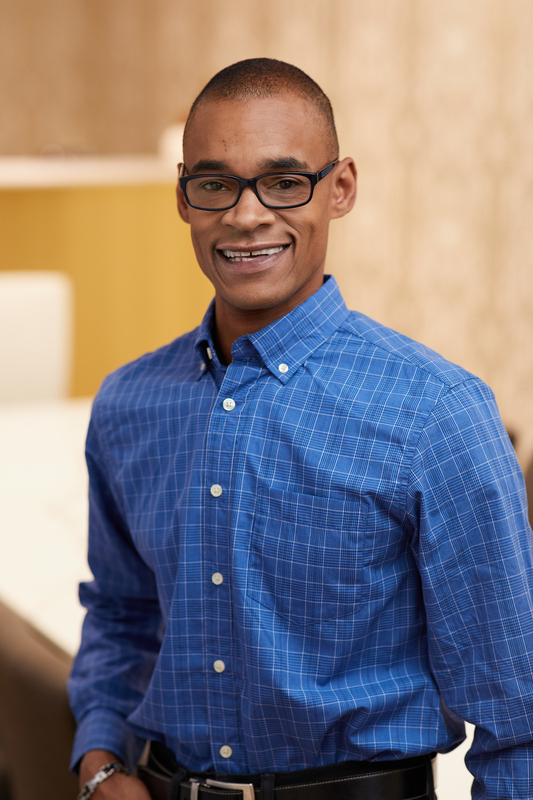 After graduating from the University of Illinois - Champaign with a major in Accounting and Finance, Stewart worked in public accounting for one year before deciding to get into the “food business”. He went to work at Michael’s Chicago Style Red Hots in Highland Park with the intention of opening more locations. 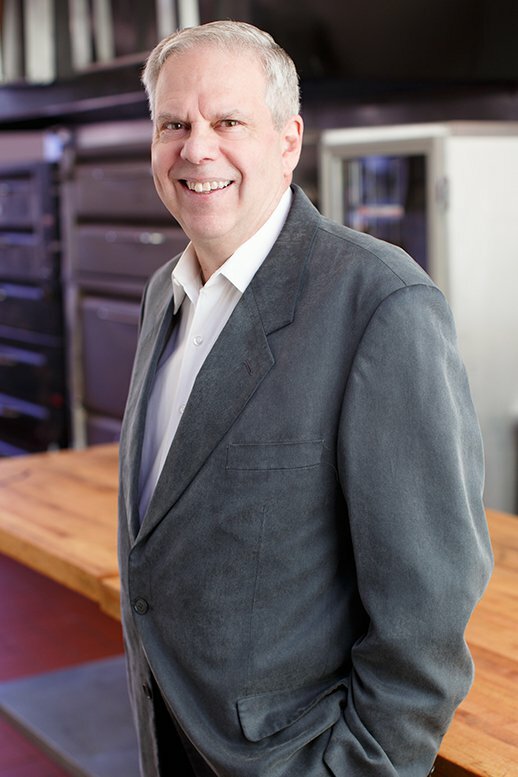 After only a year, Stewart built the off-premise catering for Michael’s and eventually purchased the remainder of the business which is today, Catering by Michaels. With over 30 years of experience, Stewart continues to lead and push the company to new heights. Random Fact: He loves being on a boat or spending time with his wife and either of his children who both live out of town and in different states. With over 30 years of experience, David has played a key role in our growth and development. 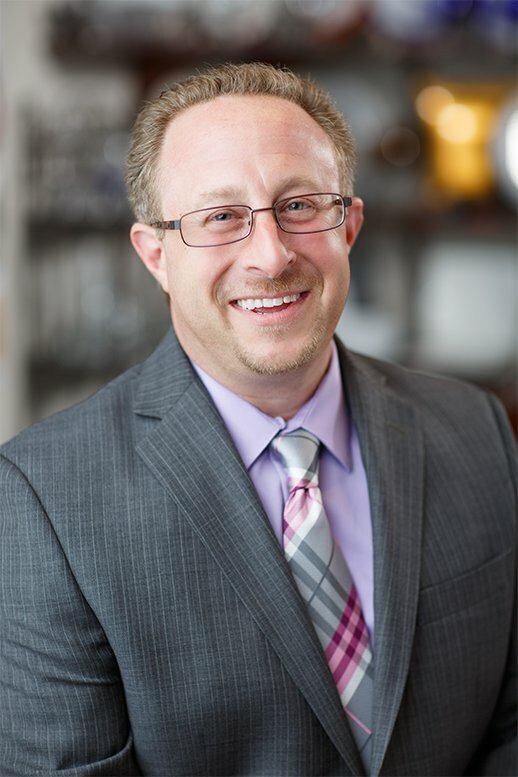 He has worked every position in the organization at one point or another and currently oversees the day-to-day operations of the company with a strong focus on the culinary and operations departments. He also creates and designs all of the unique buffets and action stations that we’re known for. Favorite items that we make: Homemade Lime and Sea Salt Corn Tortilla Chips, Sushi, Pad See Ewe, Serbando’s Spicy Nut Mix, and all of our homemade stocks and sauces. Random Fact: He loves spending time with his wife and son, vacationing on the beach or anywhere warm and relaxing! Born with the gift of gab and inheriting her mother’s “gracious gift of hospitality” Jody is a well-seasoned veteran of the catering world. As the founder and owner of Pear Tree Catering for over 25 years, Jody was able to live her passion and fulfill her dreams as an entrepreneur. 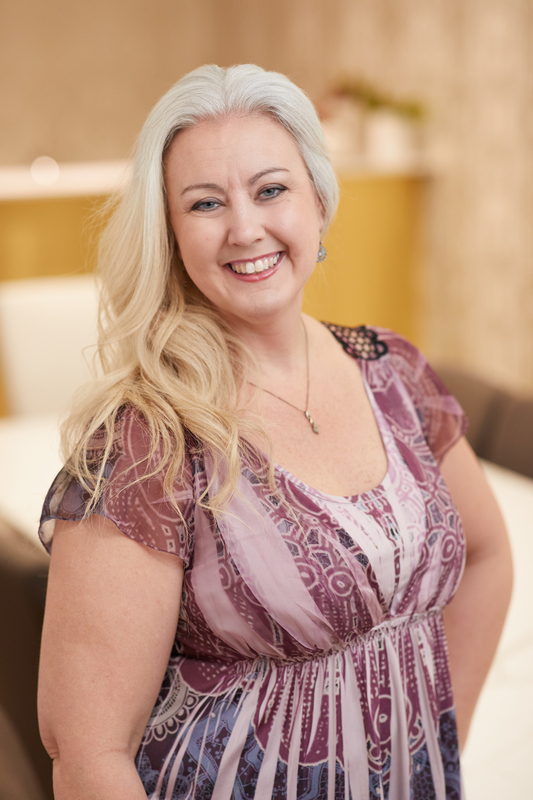 After an additional decade as a business management consultant to the foodservice industry, Jody now brings her vast experience in leadership, training, marketing and business development to the table to mentor and inspire our team of catering sales professionals. Favorite item that we make: Today it’s our Strawberry Shortcake Push Pops! Random Fact: Jody’s first job was when she was only 13 years old. She used to sing and teach guitar to little kids, but please do not ask her to sing today, you will indeed be sorry! Lisa has always loved to cook and entertain which led her into the event world. She came to Chicago via Indianapolis and has never looked back. She has spent the last five years building her personal brand and developing lifelong relationships in the Chicago events world. 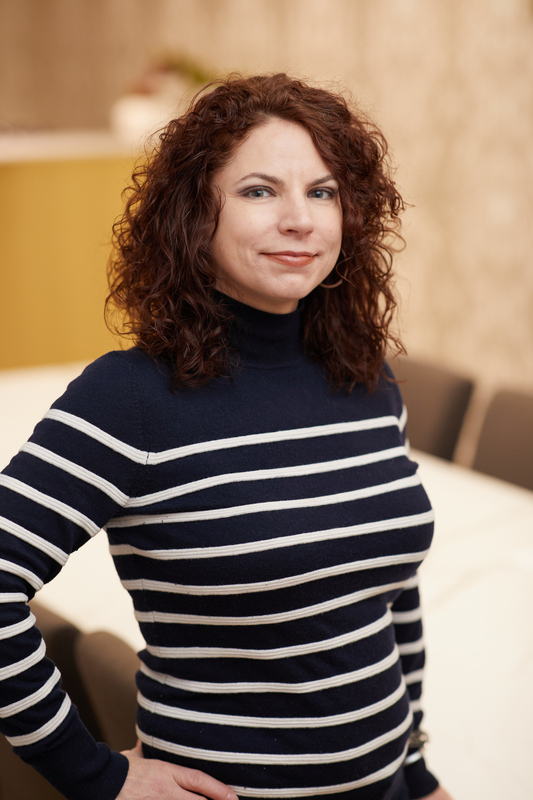 While juggling a portfolio of corporate, social and headliner events, she also recently finished two terms as the Chicago Chapter President of the International Live Events Association. 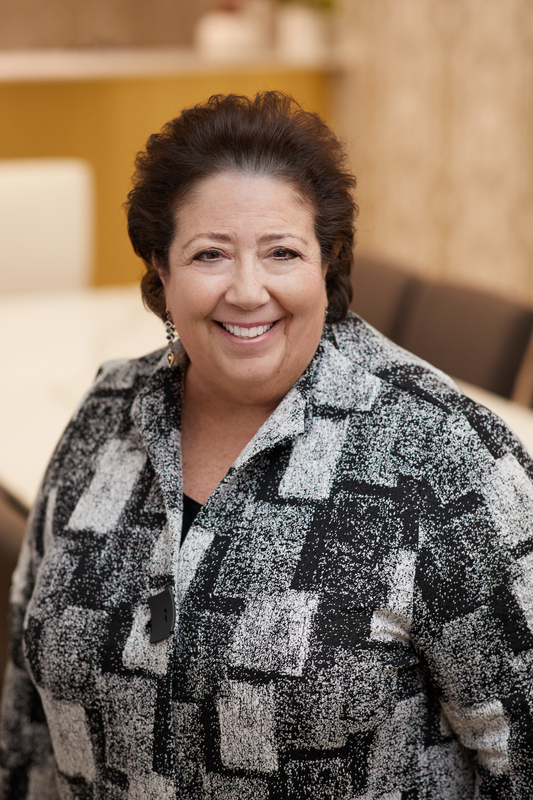 She is now on her 7th year of her tenure on the Board and serves as the Immediate Past President. Lisa loves to explore the globe and gather inspiration from near and far for upcoming events. Favorite item that we make: Crab Stuffed Shrimp! Random Fact: Lisa was a Kindergarten Teacher for 7 years! 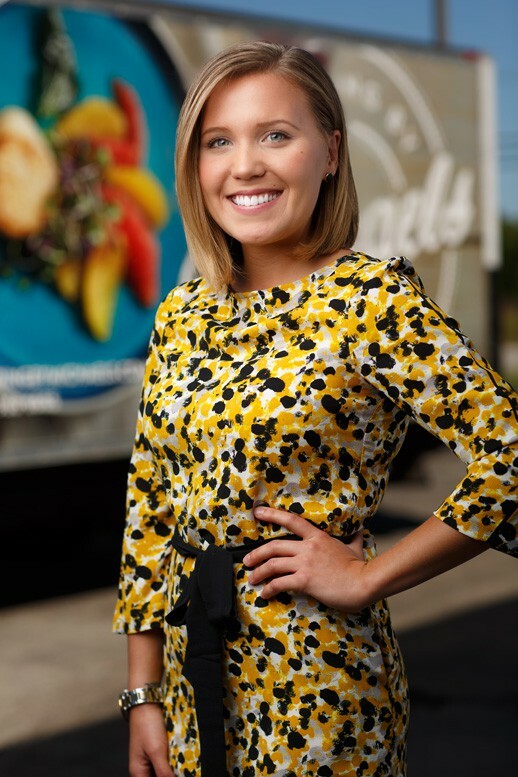 Maya graduated from Saint Mary’s College, Notre Dame, Indiana in May of 2012, at which point she began her career in the Catering & Hospitality industry as an Event Coordinator. Striving to learn more, experience more, and build a career, she took a huge leap of faith and moved to Chicago in January of 2014. Lucky us! Random Fact: She was born and raised in Europe until the age of 10! 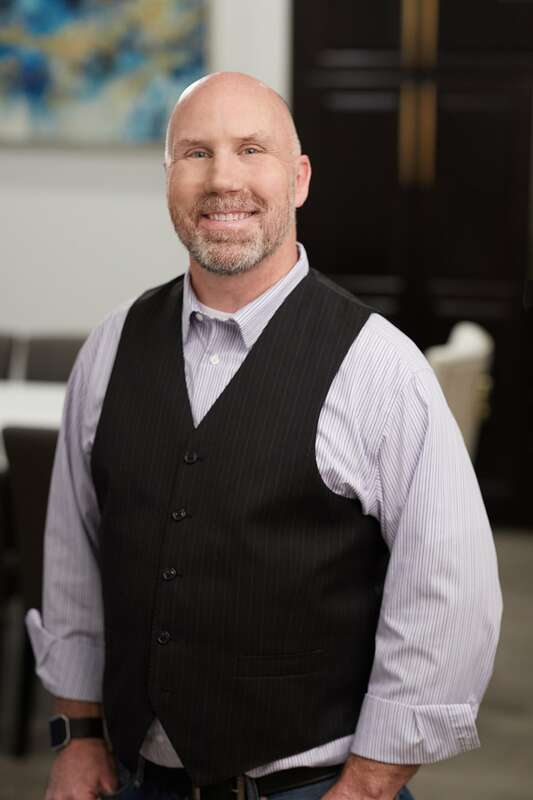 Since 2003, Chris has been working in the hospitality industry on the staffing end supplying front of house and back of house support to caterers and other food service companies throughout the Chicagoland area. Chris has worked alongside Catering By Michaels for many years and always knew that if he ever decided to make a change that the Catering By Michaels team is where he wanted to land! 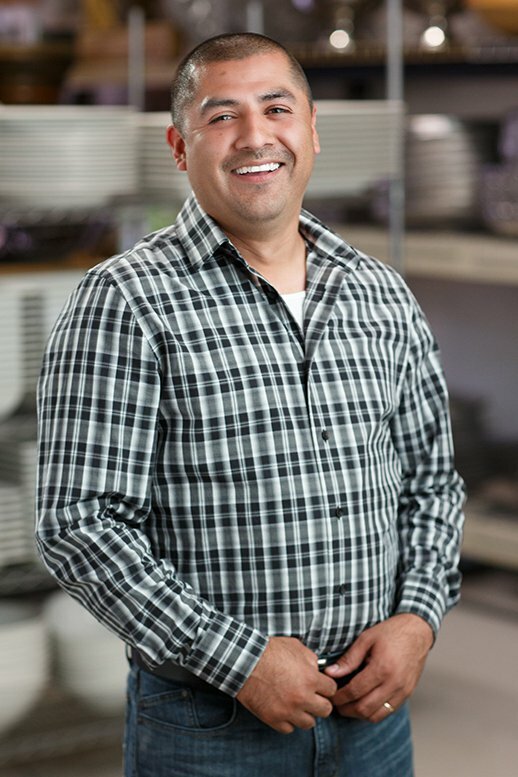 After holding many different positions within the company, Armando enjoyed the operations side of the business most. He is currently responsible for overseeing the execution of all preparation, packaging and delivery for all of our events. 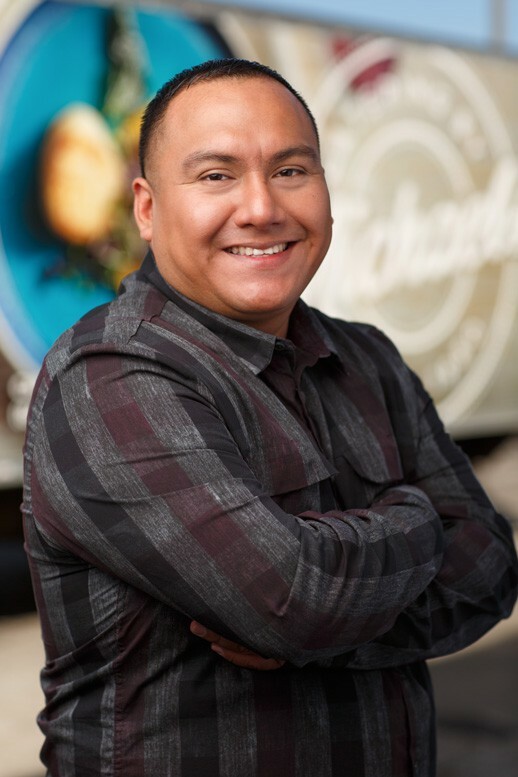 Essentially, Armando ensures that our food delivery is of the highest quality and consistency – no pressure! Favorite items that we make: Sesame Chicken and all of the items on our BBQ menu. Random Fact: He’s a huge soccer fan, playing as often as he can. 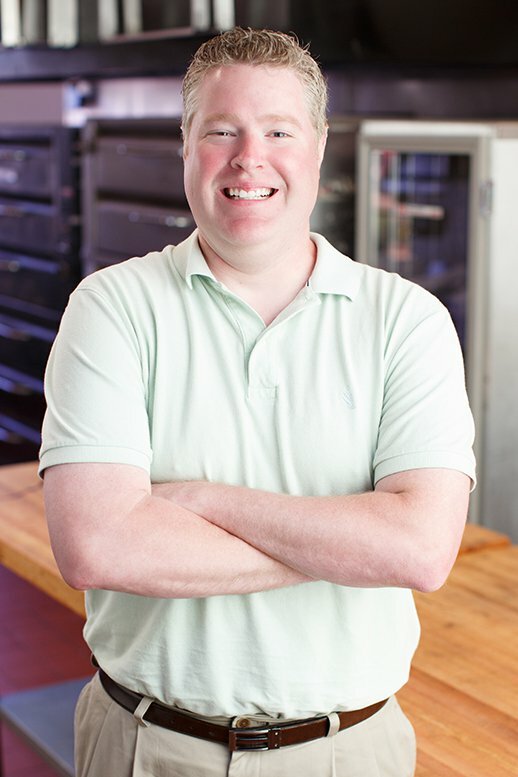 John’s diverse background, creative mindset, and love of food all culminated in his position at Catering By Michaels. 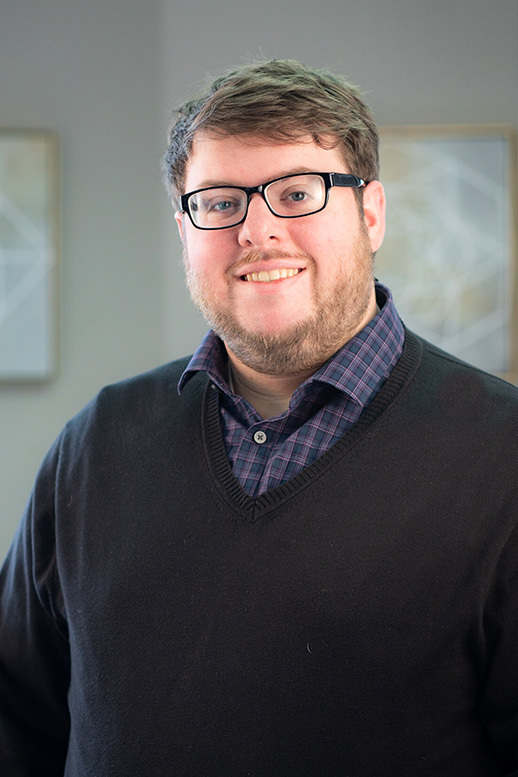 Living the “liberal arts life,” John has worked as a photographer, a small business owner, a writer, a teacher, an actor, and a not-for-profit executive. He shot a cookbook and is working on a second. He taught creative writing, wrote a yet-to-be-published novel, and was a contributor and administrator for two on-line writing websites. And along the way, he spent nearly 25 years bringing messages of kindness, respect, and awareness to students across Chicagoland. Now, John channels his creative energies into celebrating the sights, sounds, and wonderful flavors of Catering by Michaels. Favorite item that we make: Although it’s so hard to pick just one, John gives a special call out to the Caramel Cereal Seed Bars, calling them “sneaky” good: the first bite is quite tasty, the second bite is even better, then by the end of the first bar you realize you’ve actually just finished your second! Random Fact: The acclaimed actor—and one incarnation of Doctor Who—John Hurt once bought John a pint of bitter at the Dirty Duck pub in Stratford-upon-Avon. They traded a few stories, shared a few laughs, and even had a second beer together. Soon after earning her B.A. 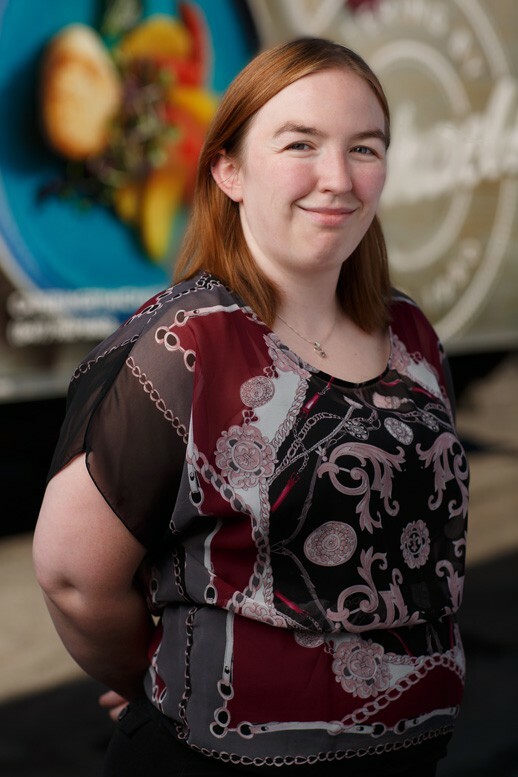 in English in 2000 from The College of Wooster, Sarah decided to attend The French Pastry School in Chicago and worked at Everest Restaurant immediately after graduating. In 2010, she moved to California to work in kitchens both in San Francisco and Los Angeles. After a few years of adventure, she returned to her hometown of Chicago, her family, and the seasons. 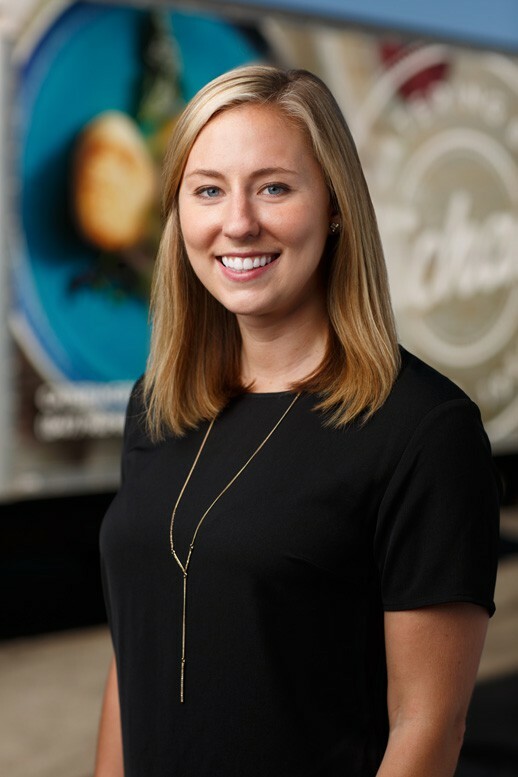 Sarah spent a couple of years as Executive Pastry Chef for a restaurant group in the city before deciding to apply her culinary knowledge in a different way as a Culinary Analyst. Random fact: After a lifetime of being extremely un-athletic she now runs half marathons. Jenna LIVES for food. 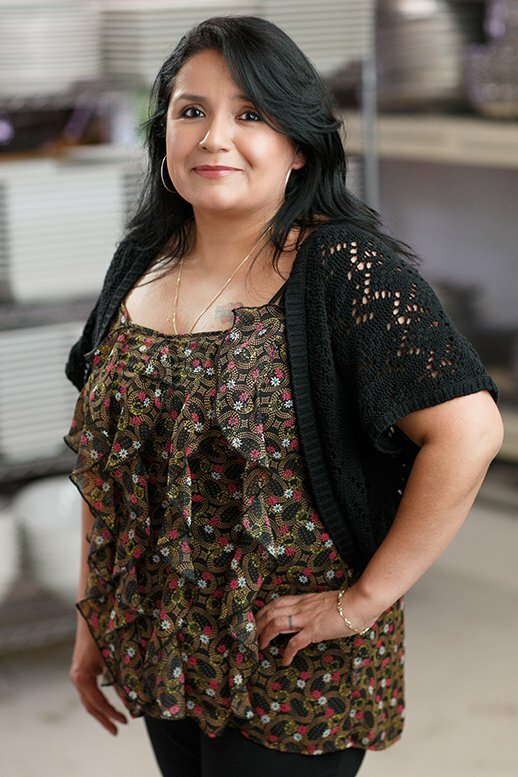 A fearless eater from the very beginning with a mother who always encouraged adventure in food and cooking, her introduction to the professional kitchen came through an opportunity to spend the day in the kitchen of Carlos’ in Highwood at age 10. After studying physics at McGill University in Montreal she realized a career in science wasn’t the right path and moved back to her hometown of Chicago, where, following a stint in culinary school, worked her way through the kitchens of Green Zebra, Taxim, and Girl and the Goat. A thirst for knowledge, and just thirst in general, lead to 6 years in the wine industry during which she oversaw the eCommerce division of a major wine retailer. 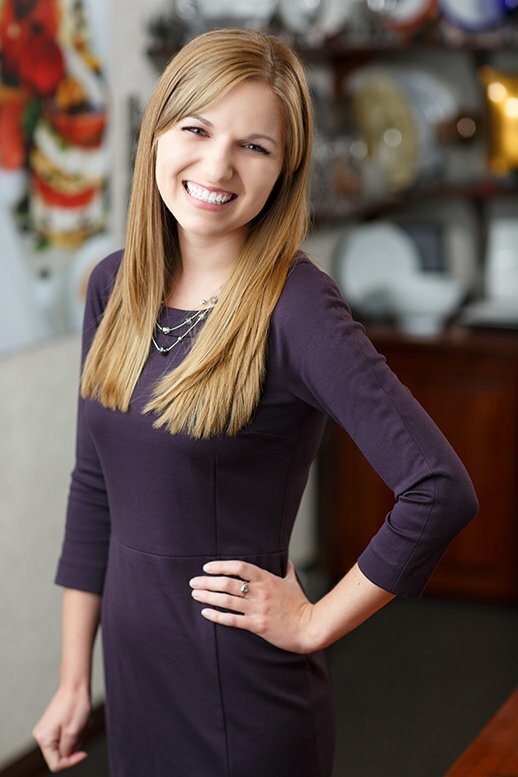 Jenna is thrilled to join the Catering By Michaels team as Culinary Analyst. Her free time is typically spent grocery shopping, rewatching Gilmore Girls, jogging with her husband, playing with her one-year-old whippet-mix June, and of course, EATING. Favorite item that we make: Brookies! And anything and everything else from the pastry department to satisfy an insatiable sweet tooth. Random Fact: Jenna appeared as a sous chef on Iron Chef America, Battle Leg of Lamb against Cat Cora. 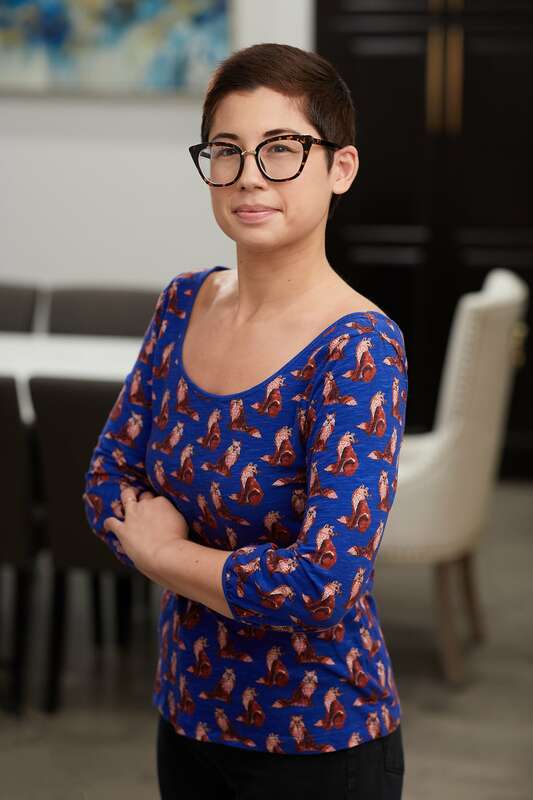 Michelle is a Chicagoland native, having never lived more than an hour from the city her entire life, except to attend college at Western Illinois University where she graduated from in 2009 with a BA in Theatre Production and Design. After spending the last 5 years as a stagehand at a suburban theatre, Michelle was looking for a change of pace. Now she gets to apply her creative, as well as technical skills, in our Operations Department. Random Fact: Michelle loves crafts beers and has tried nearly 2,000 different beers. 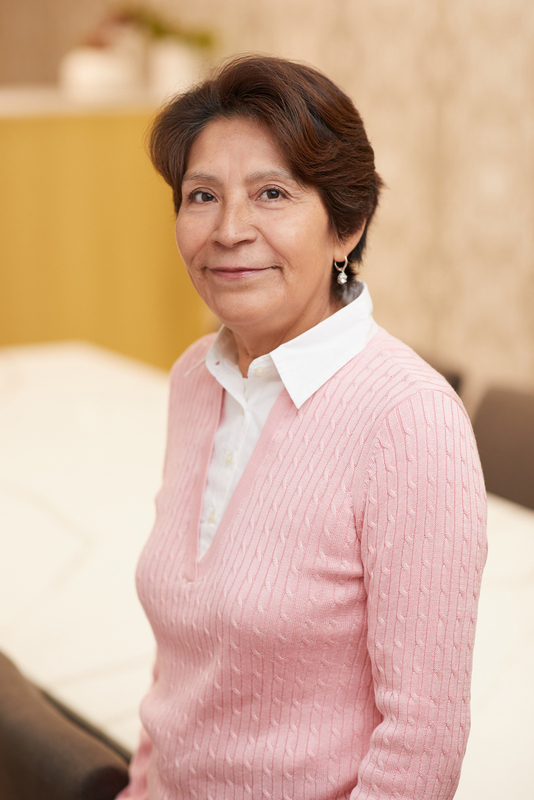 Cindy started with us in the Accounting Department as the Accounts Receivable Specialist. 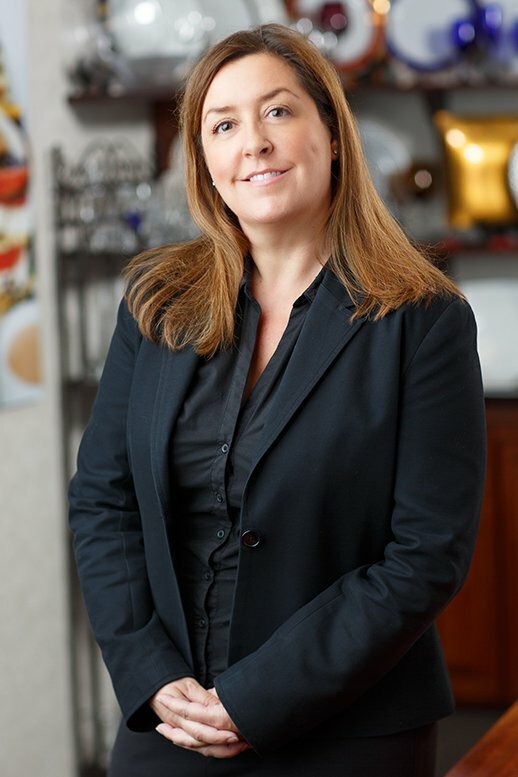 Having spent much of her career in banking and customer service, working for Catering by Michaels was her first introduction to the food and beverage industry. She was amazed by the intensity of the catering industry and all that goes into it. It doesn’t hurt that she loves good food and gets to enjoy it everyday, just like the rest of us. Perks! Random Fact: Cindy loves all genres of music, but her favorite is hard rock. Alexander graduated from Maine Township High School, East in May 2012. After graduating Alexander decided to take a different route than most. He choose to explore many other job opportunities searching for one that would draw him in completely, for he did not know what career to pursue. 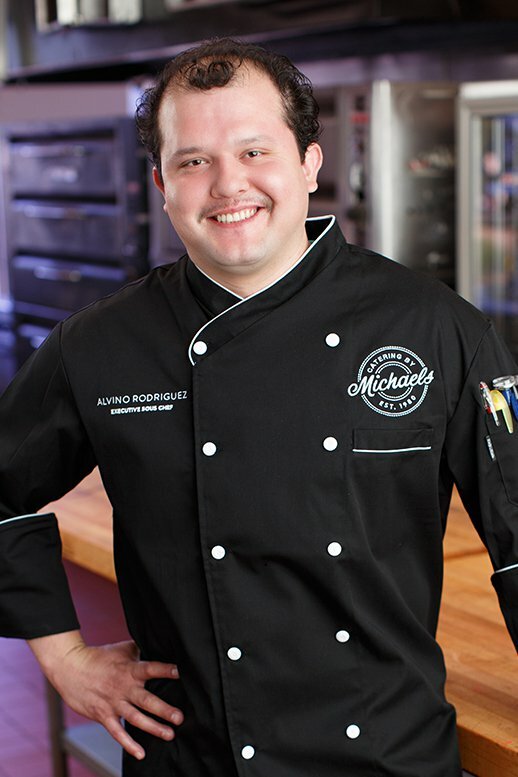 After 3 years of searching for the right calling Alexander stumbled into Catering By Michaels; and after only a year of hard work and dedication sought to move up within the company. 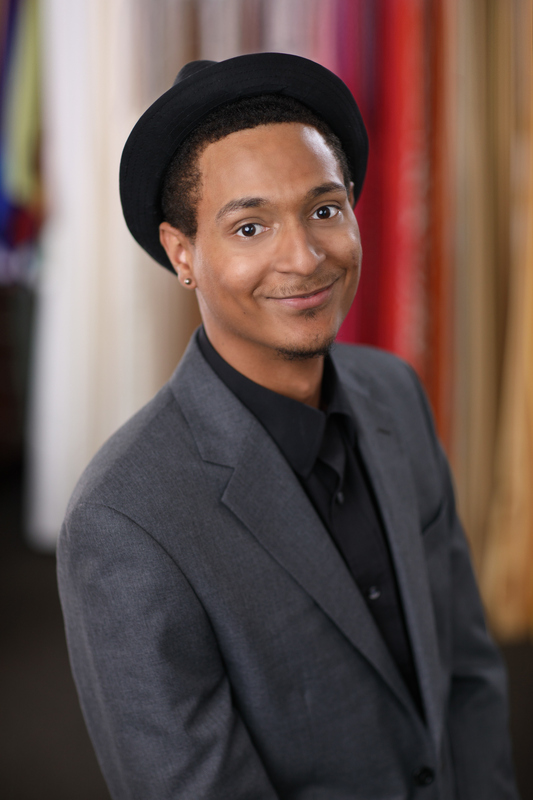 Alexander loves providing exceptional service, and leaving people smiling. Random fact: Alexander is an artist. In his free time, he likes to admire all the beauty the world has to offer, and one day would love to travel and draw/paint new sights. 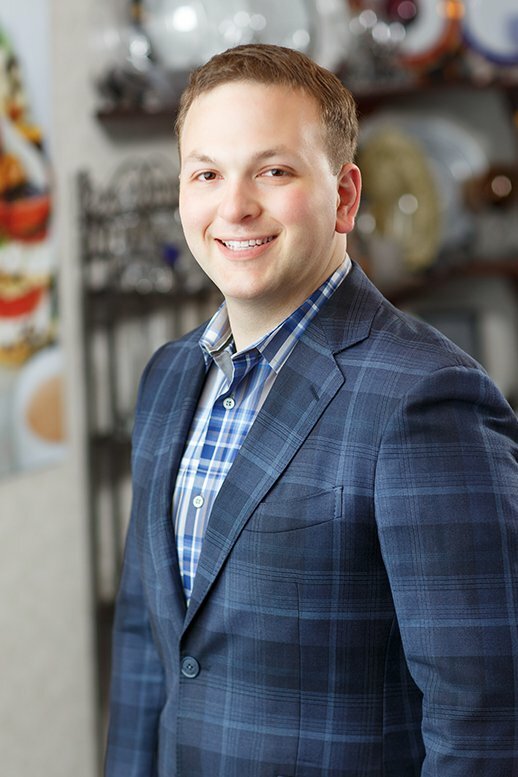 Originally from Washington DC, Justin attended Johnson & Wales University in Providence where he achieved three degrees: an AA in Culinary Arts, a BS in Foodservice Management, and a BS in Food Science and Education all in just 4 years (and graduated MC for both BS degrees). He did not spend the day “watching his granny cook.” Instead, food and cooking always held his curiosity and inspired him to choose this path. During his career, Justin held many titles including: Tournant, Sous Chef, Executive Chef, Chef de Cuisine, and Regional Executive Chef. He has worked in the hospitality industry for 25 years, 13 of which were dedicated to catering. 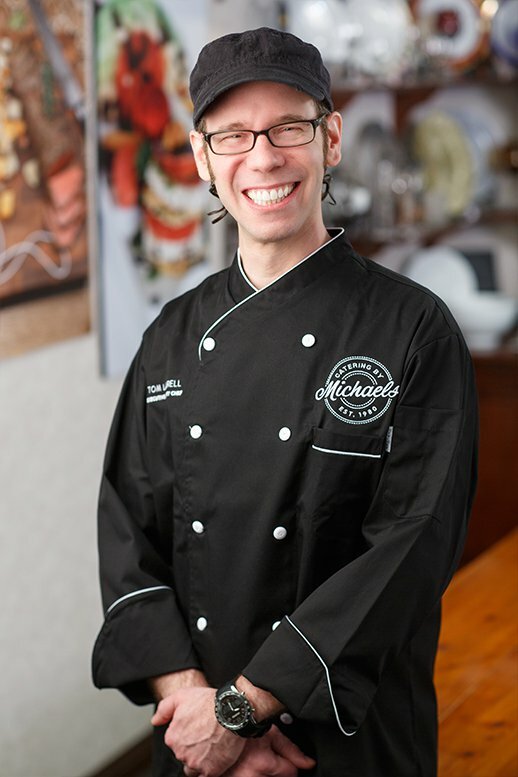 Prior to joining Catering by Michaels, he worked as Executive Chef for J&L Catering, Paramount Events, and Inspired. Favorite item that we make: The soy glazed black cod appetizer (the one on the spoon) – full of flavor! Random Fact: Justin is a HUGE nerd. He idolizes Neal Degrasse Tyson and is an avid gamer, for which he built his own dedicated, high performance PC’s! 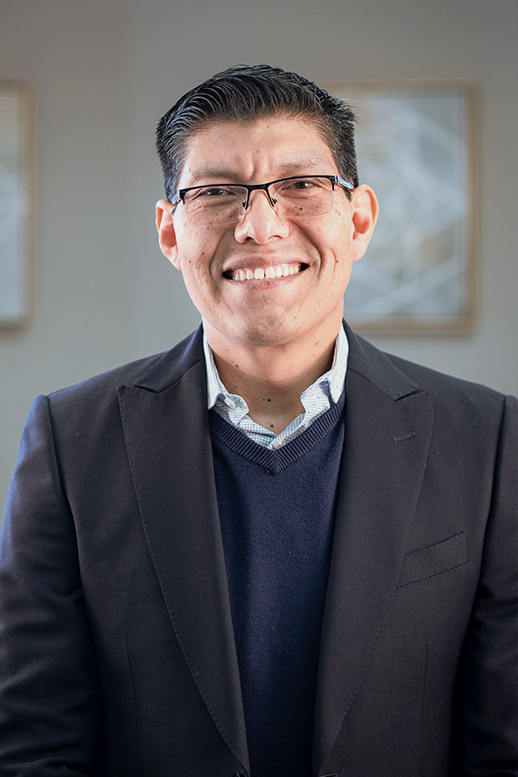 Originally from Mexico City, Mexico, Alvino came to the United States in 1998 and immediately began working with us. He has worked virtually every station in the kitchen and knows all of our menu items like the back of his hand. Random Fact: He used to play amateur soccer. 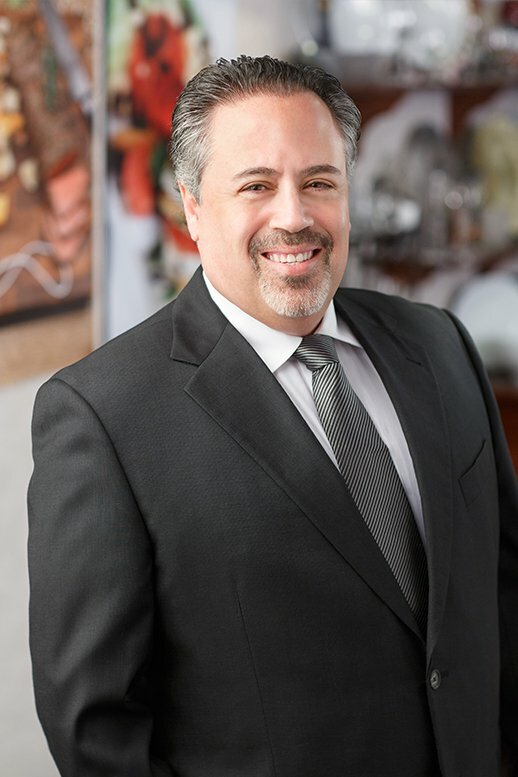 Tom comes from mainly a restaurant background having begun his career working with Tony Mantuano at Spiaggia. 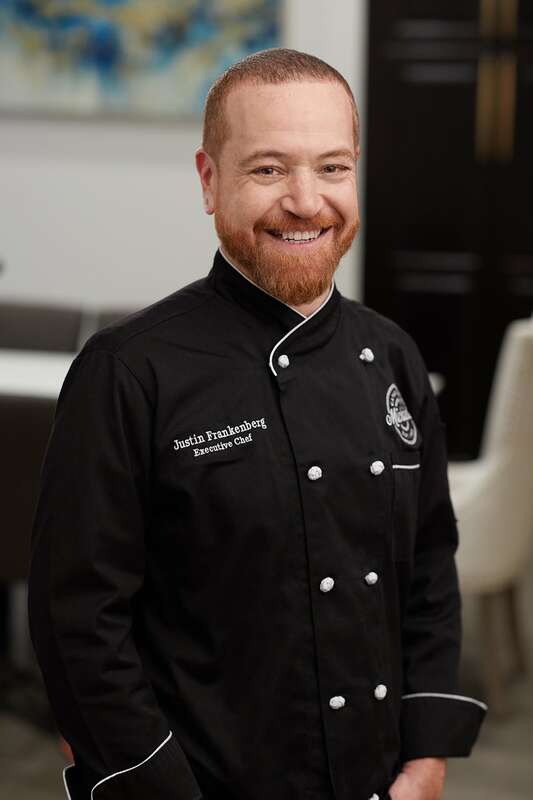 From there he quickly rose to head Pastry Chef at Fahrenheit Restaurant in St. Charles, before returning to Chicago to be the Executive Pastry Chef at Bin 36, Hotel Sax, and Amano for nearly 7 years. Random Fact: One of Tom's first restaurant jobs was at Ed Debevics, where he was a server, entertaining people by dancing on the tables and insulting them. He got the bug entertaining and caring for people through food, and the rest is history. Michele graduated from University of Wisconsin - Stout with a BA in Hotel Restaurant Management. She previously worked Banquet Sales and Catering at Stouffers Hamilton, Westin Chicago and Inter-Continental Hotel Chicago. She is meticulous and puts 48 hours into her 24-hour day. She is a mom of two wonderful teenagers and resides in Northbrook. In addition to working, she watches her kids at their sporting events and tries to volunteer at their schools when available. She loves to exercise, travel, play with her two cockapoos, and be a tourist in her own city. Random Fact: She often swipes menus from restaurants (big and small) to use for reference and great ideas. Might be better if we keep that between us! Shannon joined us by way of graduate school, rock club ownership, retail management, untrained “cheffing”, not-for-profit events and, finally, catering management. To say that she loves wine is not entirely true; she lives by it, collects it, and defines herself by it. Loving food and wine makes her job not just easier, but fun. She approaches the smallest event the same way she would approach a plated dinner for 300: with a lively conversation that hopefully includes both discovery and laughter. Favorite item that we make: Our polenta cup with wild mushrooms and comte cheese. It is a compact little savory bite of perfection with… cheese! Random Fact: She used to own a punk rock club. 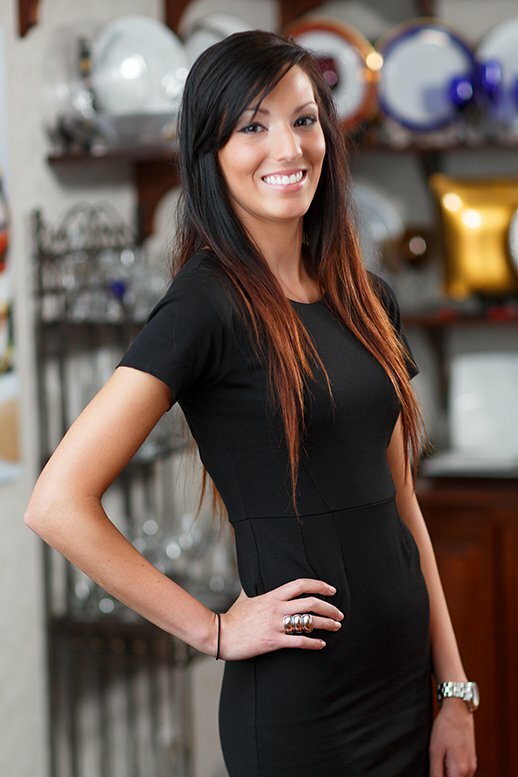 Jessica graduated from Bradley University in May of 2013 with a BA in Public Relations and a minor in Marketing. She loves to dance and is always tempted to jump onto the dance floor with guests at an event. She also enjoys being organized and planning things. Random Fact: She extreme coupons and cannot go to the store without her coupon binder. Stacey grew up in the St. Louis area, and this was where she got her start in the service industry at the age of 15. After graduating from Southern Illinois University she moved to Indianapolis for what she thought would be a few years. Nine years later she set her sights on Chicago and has been here ever since. 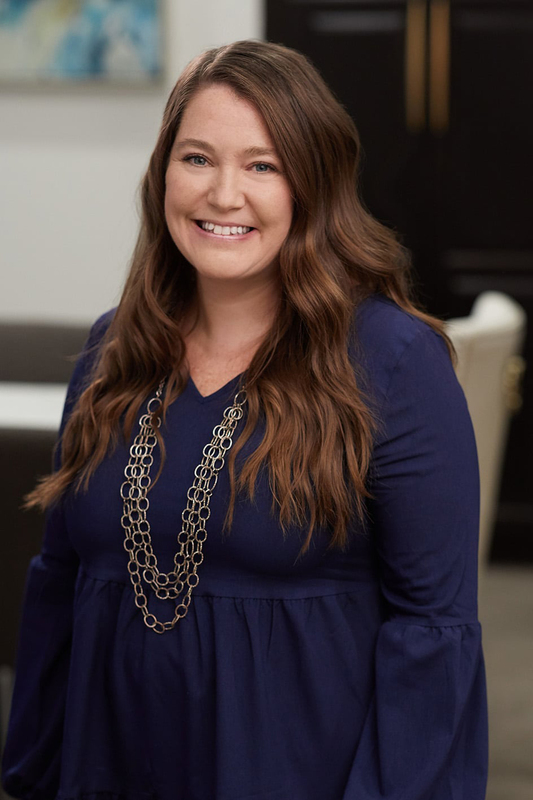 Stacey knew she was passionate about the planning and executing of events since the first day she was asked to help out with the annual Peyton Manning Children’s Hospital Golf Outing, and has had the planning bug ever since. Favorite item that we make: Pulled brisket barbacoa in a jalapeño muffin. Random fact: In her free time, she enjoys building Lego sets. She would like to one day have an entire room devoted to a Lego town. Katie grew up in the Chicago-land area and has been working in the service industry since she was 14. She started off working at a hole-in-the-wall pizza place and worked her way up to being a catering supervisor at a high-end specialty store. Food and beverage has always been a passion of hers — when she's not at work you can find her at home whipping up new recipes and fooling around with beer and wine pairings. Random Fact: Katie collects glassware from pretty much every brewery or vineyard she's ever visited. Needless to say, she's running out of cabinet space. Stacy was born and raised in Indiana where she graduated from Indiana University - Bloomington in May 2014. Although she received her degree in Recreational Sports Marketing, she always wanted to work in the event management industry and decided to study in the sports management field. While completing an internship in Indianapolis, she worked part-time for a catering company and found that she loved working in the industry. This led her to pursue a career in the field and join our family. Random Fact: She used to work for Indiana University's men's basketball team. Megan was born and raised in Indiana and recently graduated from Indiana University, Bloomington in May 2015. She received her degree in Sociology. 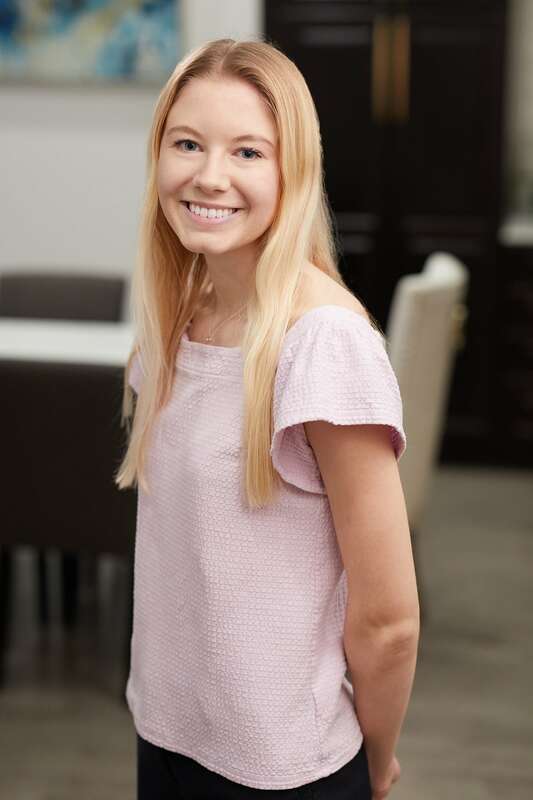 While in school, she worked as an assistant event coordinator at The Story Inn in Brown County, IN for two years and worked one year as a server for One World Catering in Bloomington, IN. She loves working in the service of others and loves going out of her way to make others feel special. She also loves the outdoors, running, and a good adventure. Random fact: She loves Pygmy goats and hopes to purchase her own farm one day. Tiffany graduated from Northern Illinois University, DeKalb in December 2015. Originally she had gone to school to become an Elementary Teacher. 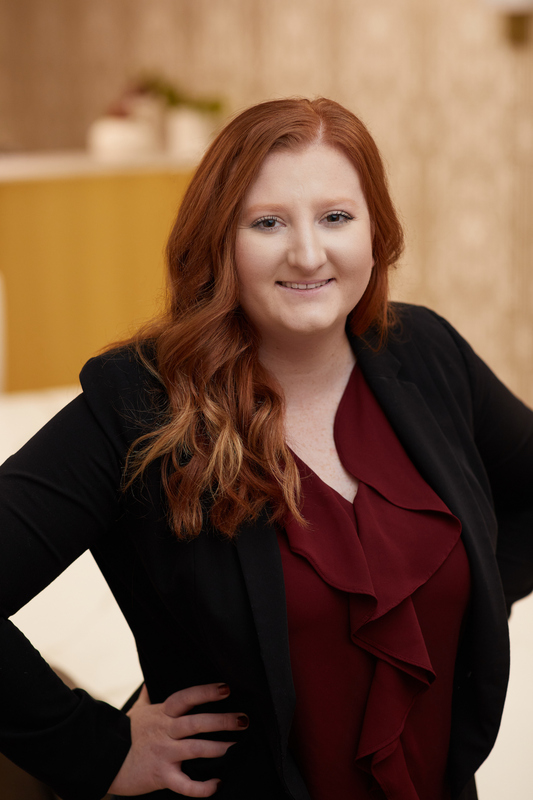 While at Northern, she held an executive board position as the Fundraising & Events Vice President for her service organization, which is when she found her passion for this industry and graduated with a degree is Hospitality Management. She enjoys seeing all the pieces come together to create an event. She also loves traveling, trying new restaurants and serving others. Random Fact: In her free time, she enjoys baking, but recently taught herself how to make homemade sugar cookies with royal icing décor on top for family and friend's themed parties. 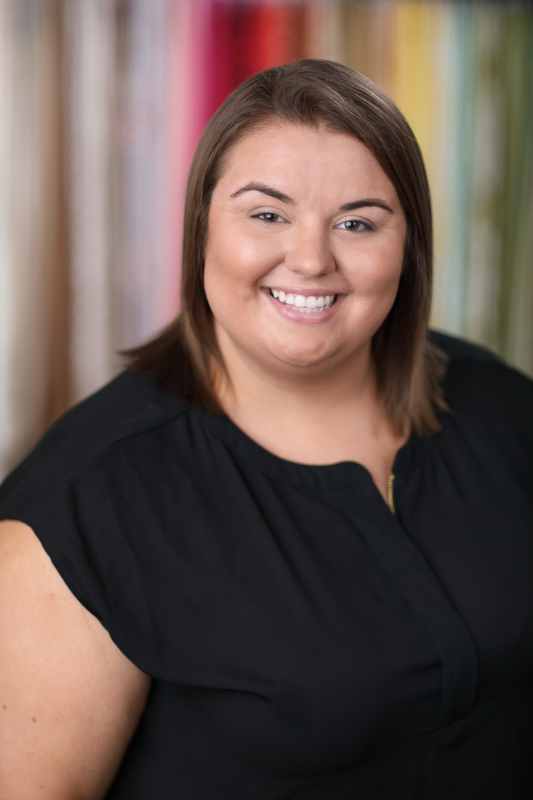 Katie comes to our team after four years of studying hospitality management with a specialization in events at Ohio State University. 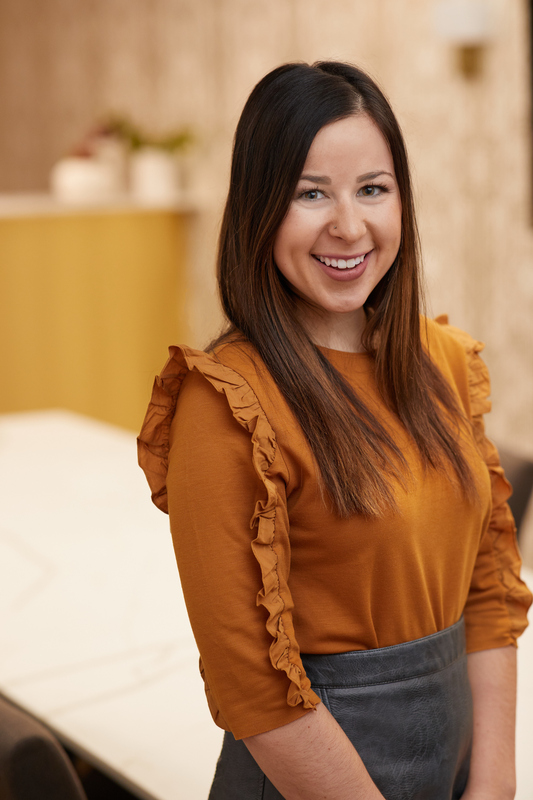 She realized her passion for the hospitality industry at a young age, but truly fell in love with the combination of catering and event planning after her first internship in Columbus. Her favorite part of the event process is watching a client’s dream develop into reality. She enjoys early morning runs, finding hidden restaurants, and making new recipes for all of her friends to try. Random Fact: Throughout her college summers, she was an Uber driver on the weekends – a source of money and entertainment! Amanda graduated from the University of Illinois at Urbana-Champaign in May of 2018. She was drawn to the hospitality industry because of her passion for food and helping others. She enjoys grocery shopping, creating new smoothie recipes, and asking people if she can pet their dog. Random Fact: Amanda is an avid runner and has completed 4 half marathons and 1 full marathon. Her dream is to run marathons all over the world – from Europe to Australia to Africa! Bruce is a Wisconsin farm boy who likes both country and western music. He now lives in the big city of Chicago with his wife and young daughter (who is ridiculously cute!). Favorite items that we make: He loves our backyard barbecues. From our ribs, jumbo char dogs, and burgers with melted cheese on a toasted bun to our skirt steak and famous baked beans. And then, to finish it up, our build your own sundae bar. Random Fact: His house is really cool. David spent 35 years as a teacher and administrator, with his summer months dedicated to being a Camp Director. He was even elected to public office and served as the Board President for a local Park District. Random Fact: David supervised and was responsible for thousands of children who learned to swim through the American Red Cross Learn to Swim Program, and helped to develop the Jump Rope for Heart Program in Chicago. Born in Puerto Rico, Modesto came to Chicago very young and grew up in Humboldt Park. Before joining us, he was a florist. Favorite item that we make: Parmesan Encrusted White Fish over sautéed Spinach topped with Citrus Beurre Blanc. Random Fact: He has a collection of 1500 videos of which more than half are VHS. So, if you ever want to watch Flashdance on videocassette, he’s your man. Pat has been working with us since Memorial Day weekend in 1996, which means that if his years here were a person, they could vote (but probably wouldn’t). Favorite item that we make: He loves our delicious breakfast items -- the Apple Cinnamon French Toast, French Toast Skewer and the unbelievable Blueberry Scones. Random Fact: Pat’s nickname around here is “Crash” because he’s such a cautious driver. Victor is always attentive to details and extremely professional. 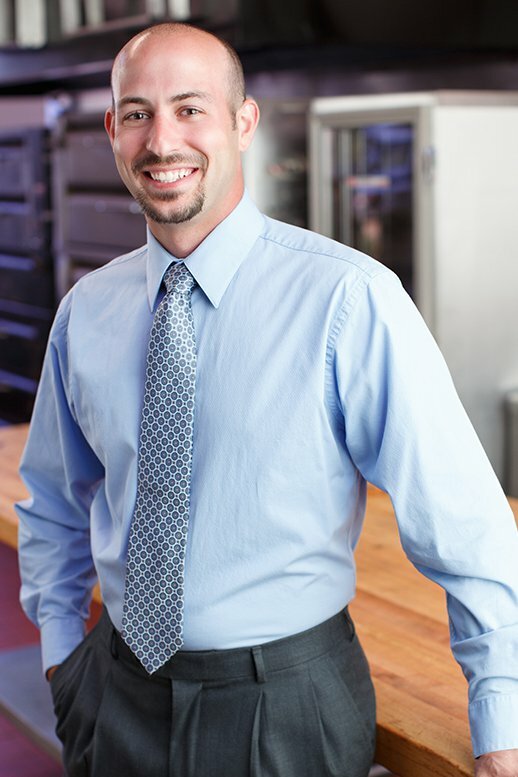 He enjoys working with all different types of events and specializes in creating fabulous buffets. Victor always tries his hardest to leave the most positive impression at the end of each event. He loves to exceed our client’s expectations! Random fact: Not a big fan of social networking. Loves trying out new food ideas. J.R. loves hosting parties and making people happy. Whether he’s passing our fabulous hor d'oeuvres or making great drinks, he’s guaranteed to put a smile on everyone’s face. Random Fact: J.R. is extremely creative and a very good cook. Hayde was born in Oaxaca, Mexico and moved to Chicago in 1990. She has been married for 32 years and has one son. Random Fact: Hayde speaks both English and Spanish. 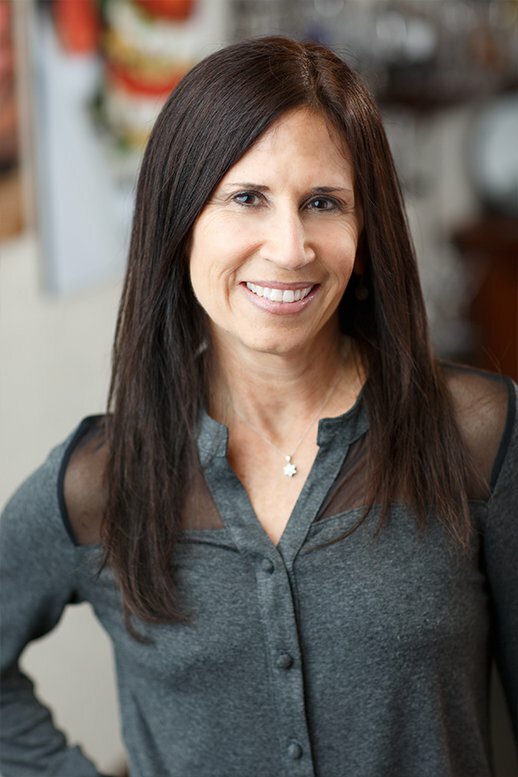 Rebecca has been working in the Chicagoland hospitality/restaurant industry for over 20 years. She enjoys the unique challenges that off-site catering has to offer and receives immense satisfaction in finding personalized solutions for clients. 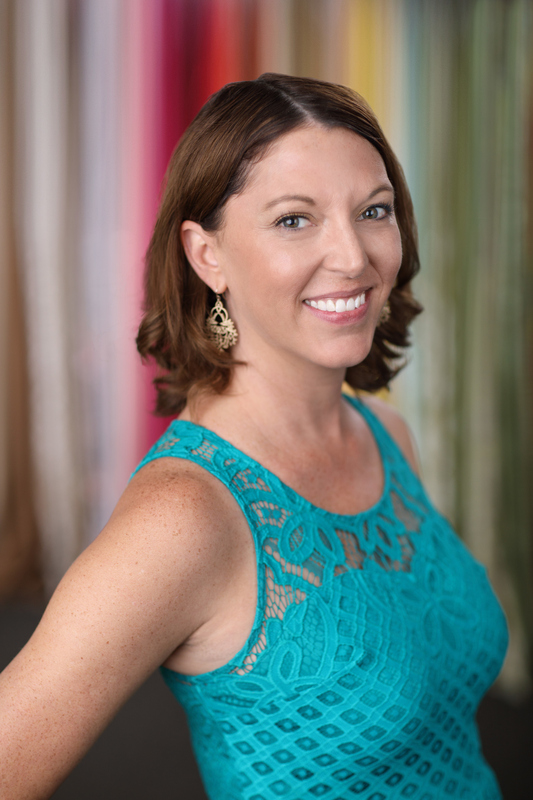 Rebecca always strives to ensure the highest levels of professionalism and client satisfaction at all times. Favorite item that we make: All sweets and desserts, especially the Cheesecake Lollipops and Candy Bar Pie. 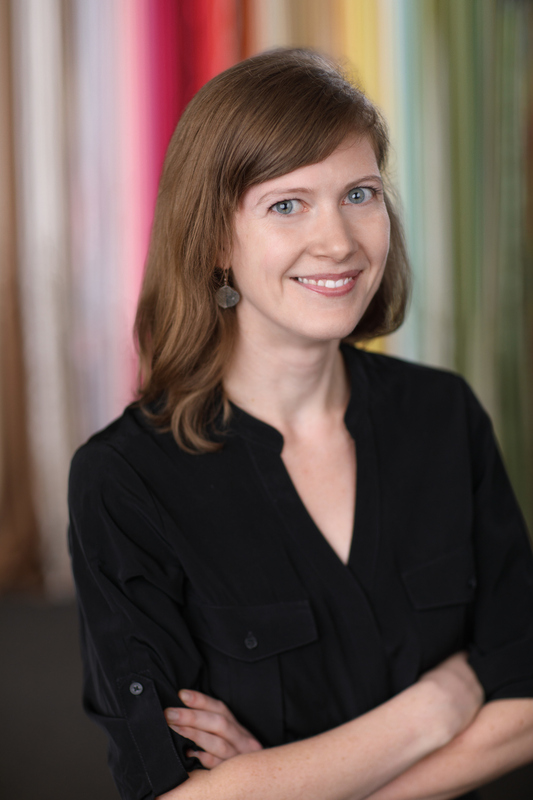 Random Fact: Rebecca is awesome at multi-tasking, which was cultivated while owning/operating a home daycare center while also raising 4 children, working nights in a local restaurant, and obtaining the first of two college degrees. Barbara moved from Kalamazoo Michigan to Chicago after earning her health education degree from Western Michigan University. Her first job in "The Big City" was teaching health education to inner-city high school students. To meet people and expand her social circle, Barbara took a part-time job as a server for a kosher caterer and liked the social aspect of the job, as well as watching the guests enjoying each event. This is where Barbara's passion for healthy food met her entertaining social side. She took a career change and has been involved in catering and food service every since — 20 years now! Favorite item that we make: The Autumn Butternut Squash Lasagna with Spinach Noodles! Random Fact: Barbara has been a yoga teacher since 2003. To challenge herself and test her commitment, she did a 62 minute meditation everyday for a 1,000 days. Challenge complete! 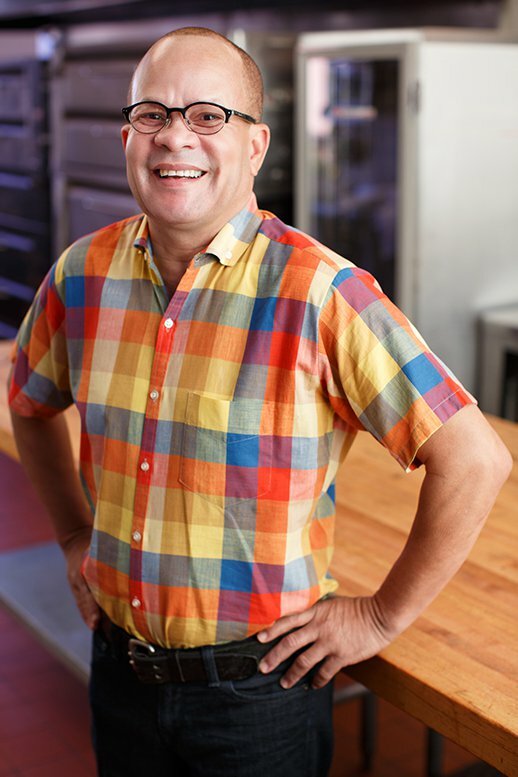 Robert has worked in the food service industry since the mid 1980's. He has covered almost every position in the front of house, from bussing tables to managing the food and beverage department. The majority of his service career has been behind the bar. 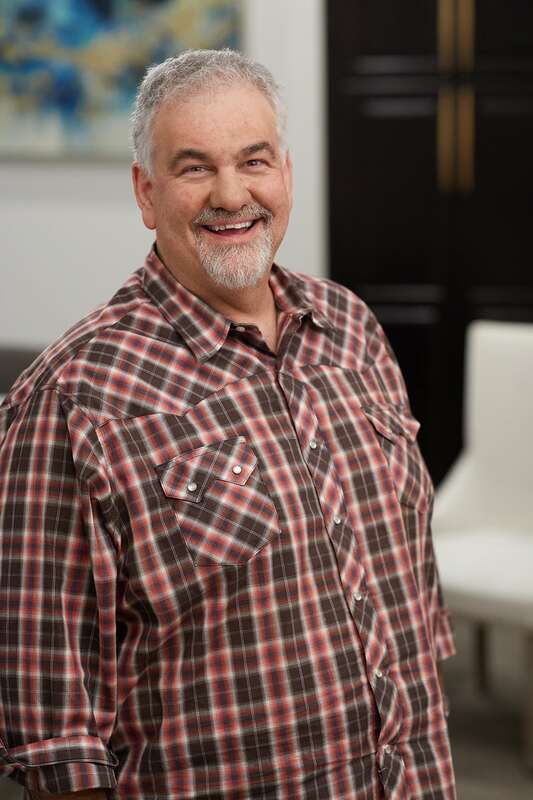 Robert has also working in neighborhood taverns, Jimmy Buffet themed restaurants and high-end martini bars in Atlanta, GA. He graduated Southern Illinois University in 1995 with a degree in food and nutrition. Random Fact: Robert is an amateur Luthier (i.e. he builds guitars!). 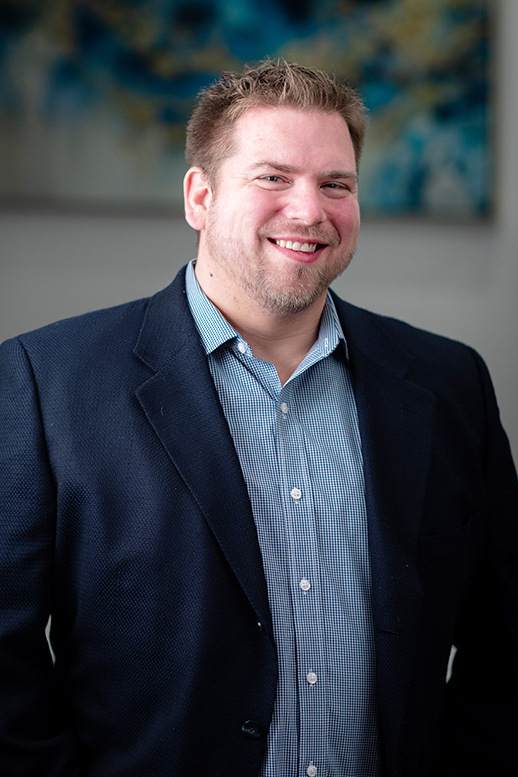 David grew up in Wilmette, and went to New Trier High School then studied English and History at Indiana University. He’s played trombone since he was 11, he appreciates a good set of gloves, and when he’s not working he’s most likely playing fetch with his Rat Terrier, Dottie. Random Fact: He had 2 relatives at the Alamo. Saul is an introvert extrovert. He’s lived in the same apartment building for over 17 years with his family of 5 (separated now). He’s working toward a college degree, with an eye toward expanding his business in wiggery. He believes the way to lead his most authentic life is to strive to be as creative as possible. Random Fact: He likes makeup/special effects. 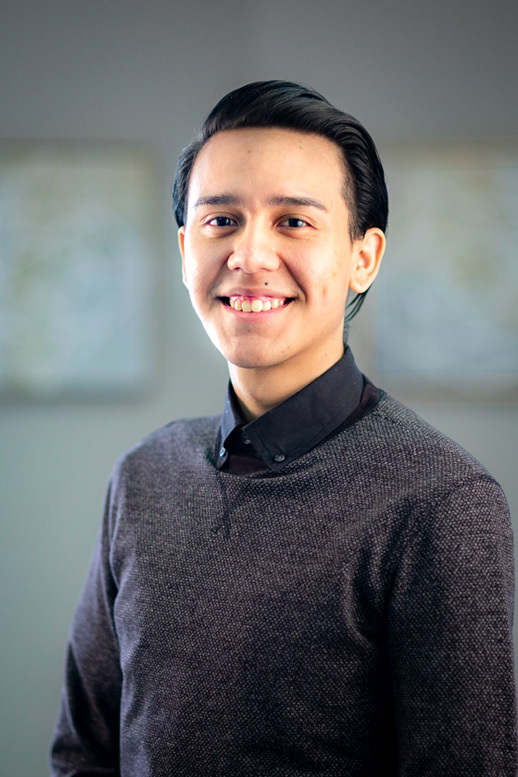 Francisco was born in a small village in Mexico and brought up mainly by his Mother--who is his hero and inspiration--because his father was working in the US. He came to the US when he was 17 years old and studied English at Truman City College and then attended Northeastern Illinois University. He earned a degree in Hospitality Management from RMU. He and his wife are blessed with 5 boys. He only worked for one company for 30 yrs before he started working at Catering by Michaels. He loves science fiction novels and movies. FEEL LIKE YOU WOULD BE A GOOD FIT? Take a look at our careers page for open positions and apply today!